Organic cotton long underwear, Saral – Yellow are made of wonderful & soft cotton fabric with a dash of lycra for a comfortable flex. To keep you warm on cold days. All B-LIGHT garments are made from organic cotton, most products has 5 % lycra. Lycra makes the garment very flexible which means that you can fit in two sizes. Choose the size that suits your need when it comes to slim fit, lose fit or normal fit.The cotton is prewashed so the shrinking is minimal. Always look at the Product Description for each product about fit. 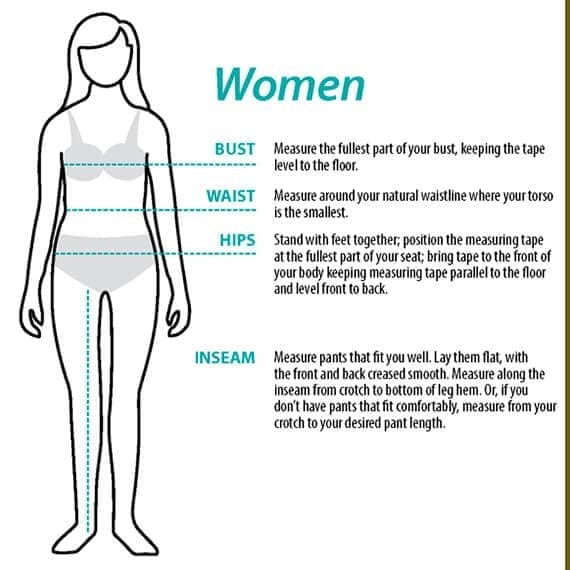 Measure your body as the image below are showing. Find the correct size in the table. Don´t freeze during the long winter days. Saral is made to be worn under your normal pants. With its label free and stitch less design you will feel warm and comfortable. Our eco-friendly cotton long underwear for women are made of the best Indian organic cotton. With 5 % of Lycra it will follow your body smoothly. The high quality organic cotton, high quality stitching and expert-monitored dying processes will assure you that your long underwear will fulfil all your expectations you should have on a B-LIGHT garment. Always wash new garments separately the first couple of washes. Turquoise color will leak color so be aware and wash separate or with only dark colors. The unique organic cotton fabric has a mix of cotton, lycra with slub effect. The slub effects gives the fabric a characteristic stripe pattern. After washing you will see some “bubbles” in the fabric that will not be seen when wearing a slim fit style. If you want to reduce this effect you can iron your garment after washing. Wash at 30-40 degrees, since this is normally enough and saves energy. Wash at 60 degrees if the garment is particularly stained or dirty. You’ll feel great wearing our unique brand of designer yoga bottoms. Great leggings. This really feels different.